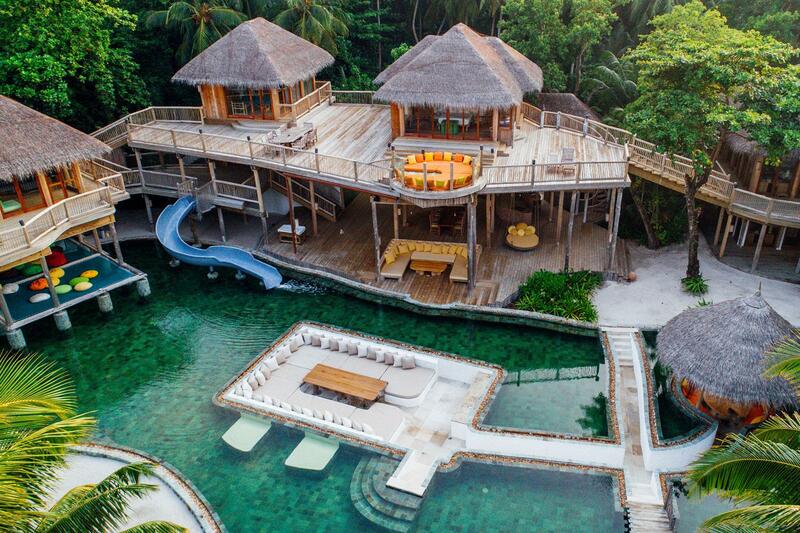 Hidden among dense foliage within the magnificent Baa Atoll UNESCO Biosphere Reserve, Soneva Fushi is an award-winning resort that inspires the imagination. 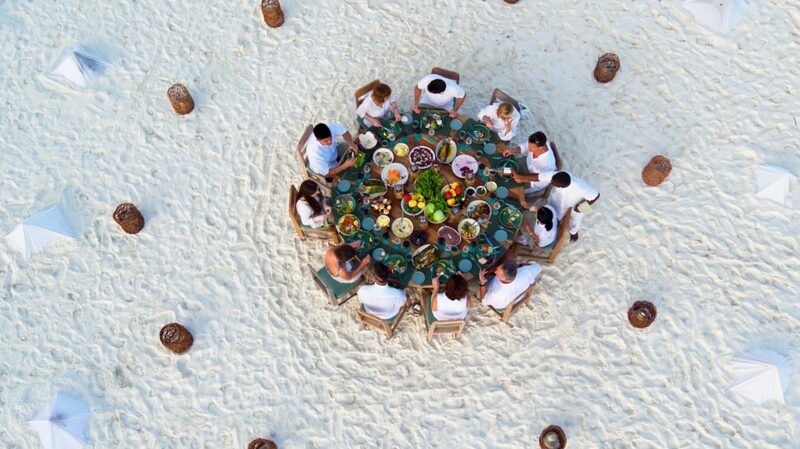 Defining the essence of barefoot luxury with chic Robinson Crusoe-esque style with a down-to-earth personality that is reflected in its nature-inspired architecture, the luxe resort offers a new concept in dining. 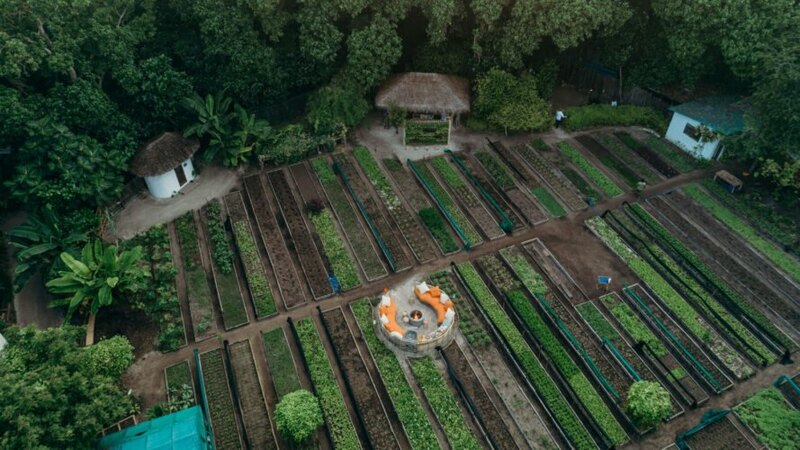 The resort’s new vegetarian restaurant, Shade of Green, offers the ultimate farm-to-table experience where diners get to harvest the ingredients for their plant-based dinners. Before dining, guests take a guided tour of the beautifully maintained garden, learning about the herbs, fruits, and vegetables while picking fresh ingredients for dinner. Guests then gather around a fire pit for an appetizer, then move to romantically placed tables set beneath fruit trees to enjoy the remaining six courses. 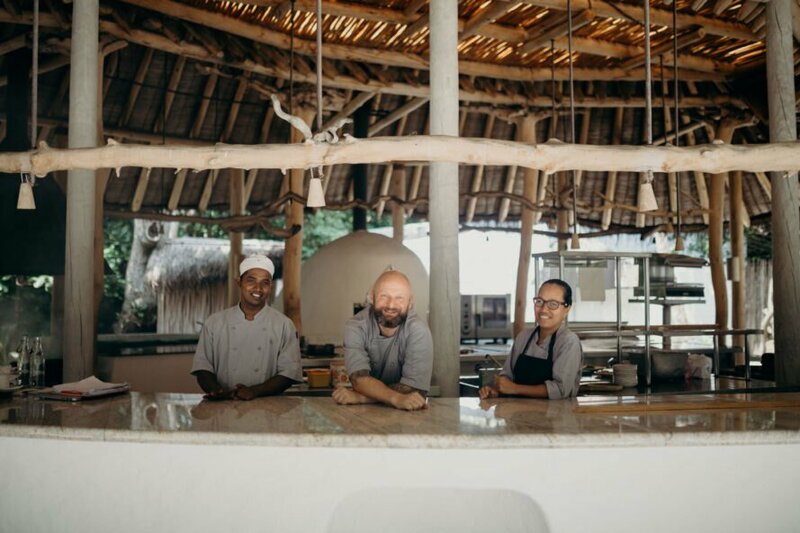 The proverbial seed for the idea was planted by Copenhagen-based chef Carsten Kyster who visited the resort as a guest in 2018 and enjoyed a lunch made with ingredients from Soneva Fushi’s organic garden which inspired the thought of opening a farm-to-table restaurant. Having worked at the River Café and The Sugar Club in London , as well as traveling and working in Southeast Asia over the last 15 years, Kyster brings a global flair to the island. Shades of Green offers a seasonally-changing five-course menu that is centered around the colors red, green and yellow. 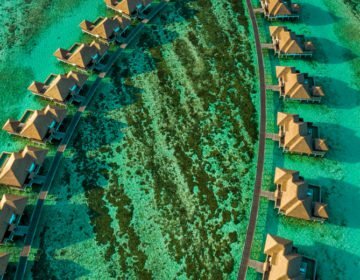 Chef Kyster expertly blends Maldivian and other Southeast Asian cuisines with the latest Nordic culinary techniques, such as salting, smoking, pickling and fermenting to produce unique dishes that are designed to fulfill six categories: cleanse, raw, crispy, grain, fire and sweet. Signature dishes include mangosteen kombucha paired with plums, beetroot vinegar powder, and shiso leaves is a cleansing dish. Shades of Green is open for dinner Sunday, Monday, Wednesday, Thursday and Friday.